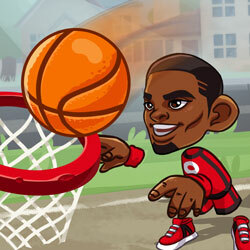 Description: Choose your player and let's play some Trick Hoops! Guide the basketball through the obstacles and put it through the hoop, collecting the star in each level. Can you make these tricky shots and unlock the bonus puzzles?